Welcome to Sunny Sailing. Discover the unique islands of Greece and experience the holiday of a lifetime. The start of your sailing holiday is at our base in Nidri. Your sailing area is the Ionian Sea located on the west side of Greece. Available in our fleet are Bavaria’s 31 up to 42 feet. All our skippers, as well as the flotilla leaders are Dutch, but they all speak English. As owners and managers we are available on location for the whole season and we are the point of contact for the quality of the fleet. Besides charter out our own yachts we are able to rent different types of yachts, for example a larger yacht with more than 3 cabins. 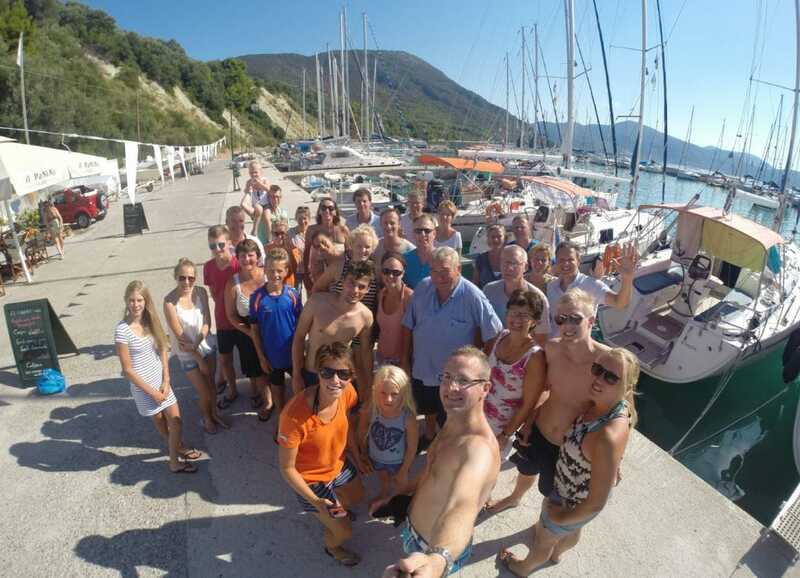 Flotilla Sailing Greece: if you have some sailing experience and also like the opportunity to socialise and mix with others. Flotillas are supported by a fully crewed lead yacht offering local knowledge, informative briefings and boat assistance where required. Bareboat Yacht Charter in Greece: plan your own route and sail at your ‘own’ sailing yacht. Appropriate qualifications and experience required. Skippered Charter: no or less sailing experience, charter a yacht with skipper or sailing instructor. Cabin Charter: (share a yacht), ideal for families, single parents, singles, couples, friends etc. with no sailing experience.